South Dakota (/- dəˈkoʊtə/ (listen)) is a U.S. state in the Midwestern region of the United States. It is named after the Lakota and Dakota Sioux Native American tribes, who compose a large portion of the population and historically dominated the territory. South Dakota is the seventeenth largest by area, but the fifth smallest by population and the 5th least densely populated of the 50 United States. As the southern part of the former Dakota Territory, South Dakota became a state on November 2, 1889, simultaneously with North Dakota. Pierre is the state capital and Sioux Falls, with a population of about 187,200, is South Dakota's largest city. ^ "Population of South Dakota: Census 2010 and 2000 Interactive Map, Demographics, Statistics, Quick Facts". Badlands National Park (Lakota: Makȟóšiča) is an American national park located in southwestern South Dakota. The park protects 242,756 acres (379.3 sq mi; 982.4 km2) of sharply eroded buttes and pinnacles, along with the largest undisturbed mixed grass prairie in the United States. The National Park Service manages the park, with the South Unit being co-managed with the Oglala Lakota tribe.The Badlands Wilderness protects 64,144 acres (100.2 sq mi; 259.6 km2) of the park as a designated wilderness area, and is one site where the black-footed ferret, one of the most endangered mammals in the world, was reintroduced to the wild. The South Unit, or Stronghold District, includes sites of 1890s Ghost Dances, a former United States Air Force bomb and gunnery range, and Red Shirt Table, the park's highest point at 3,340 feet (1,020 m).Authorized as Badlands National Monument on March 4, 1929, it was not established until January 25, 1939. Badlands was redesignated a national park on November 10, 1978. Under the Mission 66 plan, the Ben Reifel Visitor Center was constructed for the monument in 1957–58. The park also administers the nearby Minuteman Missile National Historic Site. Movies such as Dances with Wolves (1990) and Thunderheart (1992) were partially filmed in Badlands National Park. As the economy of the Black Hills has shifted from natural resources (mining and timber) since the late 20th century, the hospitality and tourism industries have grown to take its place. Locals tend to divide the Black Hills into two areas: "The Southern Hills" and "The Northern Hills". The Southern Hills is home to Mount Rushmore, Wind Cave National Park, Jewel Cave National Monument, Black Elk Peak (the highest point in the United States east of the Rockies, formerly known as Harney Peak), Custer State Park (the largest state park in South Dakota), the Crazy Horse Memorial , and the Mammoth Site in Hot Springs, the world's largest mammoth research facility. January Kristen Jones (born January 5, 1978) is an American actress and model, best known for portraying the role of Betty Draper in Mad Men (2007–2015), for which she was nominated for two Golden Globe Award for Best Actress – Television Series Drama and a Primetime Emmy Award for Outstanding Lead Actress in a Drama Series.She starred most recently as Melissa Chartres in The Last Man on Earth (2015–2018). She also starred in the films American Wedding (2003), We Are Marshall (2006), Unknown (2011), Seeking Justice (2011) and X-Men: First Class (2011). Oóhenuŋpa (Two Kettles)Notable Lakota persons include Tȟatȟáŋka Íyotake (Sitting Bull) from the Húnkpapȟa band; Touch the Clouds from the Miniconjou band Maȟpíya Lúta (Red Cloud), Heȟáka Sápa (Black Elk), Siŋté Glešká (Spotted Tail), Billy Mills, and the legendary Tȟašúŋke Witkó, Crazy Horse from the Oglala and Miniconjou Band. There are 66 counties in the U.S. state of South Dakota with FIPS codes. 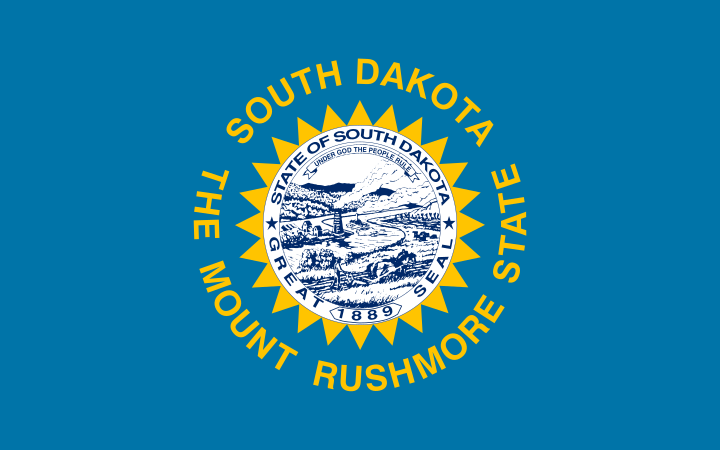 South Dakota's postal abbreviation is SD and its FIPS state code is 46. The locations of National Register properties and districts (at least for all showing latitude and longitude coordinates below), may be seen in an online map by clicking on "Map of all coordinates".The following are approximate tallies of current listings by county. Pierre (; Lakota: čhúŋkaške, "fort") is the capital of the U.S. state of South Dakota and the seat of Hughes County. The population was 13,646 at the 2010 census, making it the second-least populous state capital in the United States, following only Montpelier, Vermont, and the eighth-most populous city in South Dakota. Founded in 1880 on the east bank of the Missouri River opposite Fort Pierre, Pierre has been the state capital since South Dakota gained statehood on November 2, 1889. It was challenged by Huron for the capital and won because of its location in the geographic center of the state. Fort Pierre was named after Pierre Chouteau, Jr., a major American fur trader from St. Louis, Missouri, who was of colonial French origin. Rapid City is the second most populous city in South Dakota and the county seat of Pennington County. Named after Rapid Creek, on which the city is established, it is set against the eastern slope of the Black Hills mountain range. The population was 67,956 as of the 2010 Census.Known as the "Gateway to the Black Hills" due to its location and the "City of Presidents" because of the life-size bronze president statues located downtown. Rapid City is split by a low mountain ridge that divides the western and eastern parts of the city. Ellsworth Air Force Base is located on the outskirts of the city. Camp Rapid, a part of the South Dakota Army National Guard, is located in the western part of the city. Rapid City is home to popular attractions like Art Alley, Dinosaur Park, the City of Presidents walking tour, Chapel in the Hills, Storybook Island, Main Street Square and more. The historic "Old West" town of Deadwood is nearby. In the neighboring Black Hills are the popular tourist attractions of Mount Rushmore, the Crazy Horse Memorial, Custer State Park, Wind Cave National Park, Jewel Cave National Monument, the museum at the Black Hills Institute of Geological Research, and to the east of the city is Badlands National Park. The South Dakota House of Representatives is the lower house of the South Dakota State Legislature. It is made up of 70 members, two from each legislative district. Two of the state's 35 legislative districts, Districts 26 and 28, are each subdivided into two single-member districts (26A/26B and 28A/28B). The Senate is the upper house of the South Dakota State Legislature. It is made up of 35 members, one representing each legislative district, and meets at the South Dakota State Capitol in Pierre. South Dakota State University is a public research university in Brookings, South Dakota, United States. Founded in 1881, it is the state's largest and most comprehensive university and is the oldest continually-operating university in South Dakota. The university is governed by the South Dakota Board of Regents, which governs the state's six public universities and two special schools. South Dakota State University is a land grant, space grant, and sun grant university. It was founded under the provisions of the 1862 Morrill Act. This land-grant heritage and mission has led the university to place a special focus on academic programs in agriculture, engineering, nursing, and pharmacy, as well as liberal arts. The Carnegie Foundation for the Advancement of Teaching classifies South Dakota State University as a Research University with high research activity. The graduate program is classified as Doctoral, Science, Technology, Engineering, Math dominant. These are tables of congressional delegations from South Dakota to the United States Senate and United States House of Representatives. The University of South Dakota (or informally USD) is a public coeducational research (R2) university in Vermillion, South Dakota. Established by the Dakota Territory legislature in 1862, 27 years before the establishment of the state of South Dakota, USD is the flagship university for the state of South Dakota and the state's oldest public university. On a 274 acres (1.11 km2) campus, USD is in southeastern South Dakota, approximately 63 miles (101 km) southwest of Sioux Falls, 39 miles (63 km) northwest of Sioux City, Iowa, and north of the Missouri River. The university is home to South Dakota's only medical school and law school. It is also home to the National Music Museum, with over 15,000 American, European, and non-Western instruments. USD is governed by the South Dakota Board of Regents, and its president is Sheila Gestring. The university has been accredited by the North Central Association of College and Schools since 1913. University of South Dakota's alumni include 17 Truman Scholars, 10 Rhodes Scholars, and 1 Nobel Laureate, (Ernest Lawrence '22, 1939 Nobel Prize in Physics.) The athletic teams compete in the NCAA's Division I as members of The Summit League, except football, which competes in the Missouri Valley Football Conference. The area has been home to various Native American tribes for centuries. French fur traders first visited in the late 18th century. Vermillion was founded in 1859 and incorporated in 1873. The name refers to the Lakota name: wa sa wak pa'la (red stream). Home to the University of South Dakota, Vermillion has a mixed academic and rural character: the university is a major academic institution for the state, with its only law and medical schools and its only AACSB-accredited business school. Major farm products include corn, soybeans, and alfalfa.